from around the world – from urban fantasy to stories that bring tears to the eye. 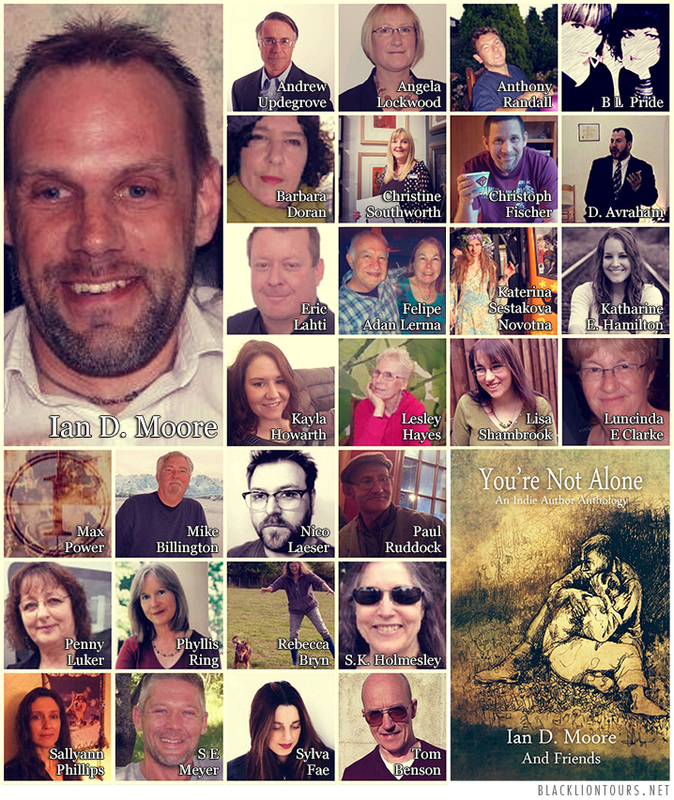 An international group of indie authors, inspired by the personal grief of one, decided to collaborate in the spring of 2015 in a project to create this multi-genre smorgasbord of original short stories, all with the same potent theme and relationship. Some are heartfelt, some funny, some poignant, and some are just a little bit scary and much like relationships themselves. All are by authors fired by the shared enthusiasm to give something back in aid of Macmillan Cancer Support. 100% of the profit made on the purchase of this book, in any format, goes to the charity. Cancer touches us all. It has in some way affected those who have contributed their time and talent here. This is our way of showing that we care. Indie authors carry forward a revolutionary shift in publishing, which allows the author to be creative director in their own work. There are many exceptional, experienced and acclaimed writers who have decided to take this bold step in publishing. In producing this anthology we have also had the inestimable assistance on board of artists, graphic designers, and bloggers and all of whom have a place in our acknowledgments. You, the discerning reader, are the other vital part of this equation. By buying this book you are supporting the work of indie authors, as well as discovering their worth. You are also supporting the charity to which we have chosen to dedicate our work. A Year Afterwards – LESLEY HAYES, author of The Drowned Phoenician Sailor. One of Those Days –IAN D MOORE, author of Salby Damned. Dolphins Dance– MIKE BILLINGTON, author of Corpus Delectable. Dad– KAYLA HOWARTH, author of The Institute. of the Weissensteiners (Book 1 of the Three Nations Trilogy). to be published The Munich Girl: A Novel of the Legacies That Outlast War. Inside Out – PENNY LUKER, author of The Truth Finder. Love’s Silent Ache – LISA SHAMBROOK, author of Beneath the Rainbow. The Birth– LUCINDA E. CLARKE, author of Amie. published new author. Can be found at www.serendipitydoit.wordpress.com. Never too Old –ANGELA LOCKWOOD, author of Language in the Blood. Ooh Air Magrit – REBECCA BRYN, author of Touching the Wire. Day Late Dollar Short –ERIC LAHTI, author of Henchmen. (Book 1 of the Origins Series). An Anonymous Biography & Skin Cage. Last Goodbyes – PAUL RUDDOCK, author of Not What You Thought. Wishing you a satisfying Saturday. Hugs!! I agree. I look forward to the paperback copies I ordered. “Don” = son on the Galaxy phone I am on. Congrats on the launch and best of luck! That’s a beautiful cover. Posted on Christoph Fischer blog.. anthology contributed to by 27 International authors in aid of MacMillan cancer support. Terrific charity. Best of luck. A truly deserving cause. Reblogged this on THE PEN AND THE PAGE. A worthwhile book to buy. Survivors appreciate each new day of life. Can you buy or order the book at the Barnes and Noble? Good luck with this… What a beautiful cover!